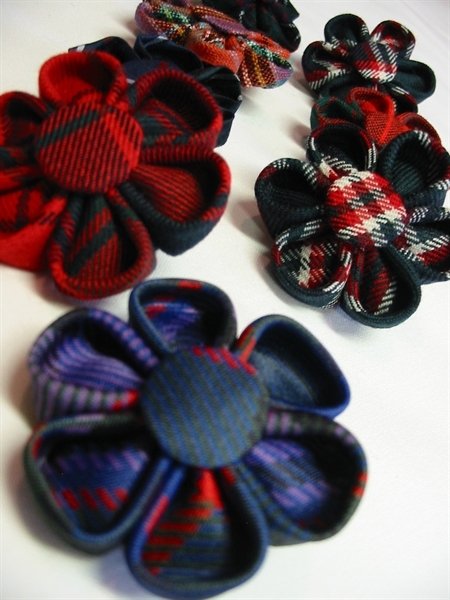 Tartan Rosette Brooches, beautifully hand-made to order in Scotland. 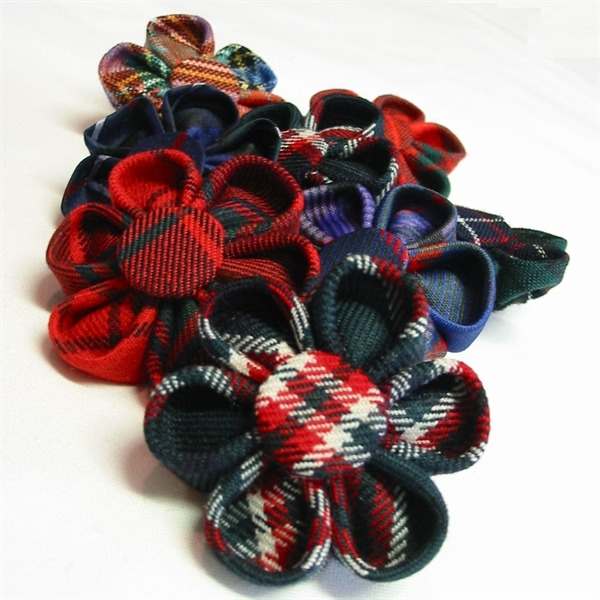 If the 'Stock Tartan Rosettes' we offer elsewhere on our site don't suit you, you can order rosettes in your own tartan here. 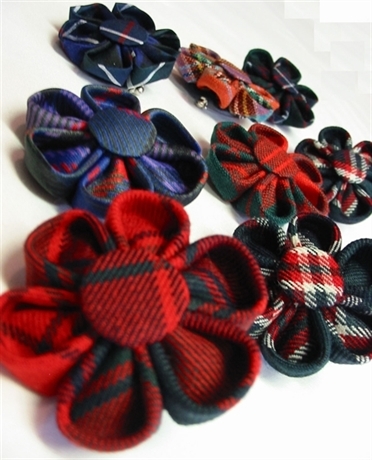 But there is a minimum order for a quantity of 3 units. 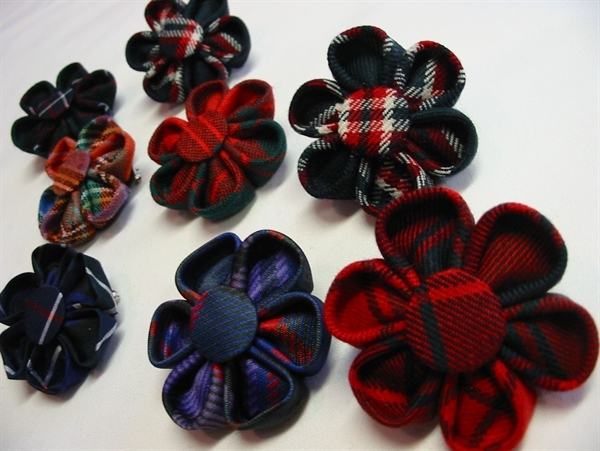 Offered in most Available Tartans. This has to be a SPECIAL ORDER because of minimum fabric sourcing requirements. We ship 3 gift boxed units for the total price indicated below. Allow 4-6 weeks for delivery. In which case add a surcharge of £42.00. 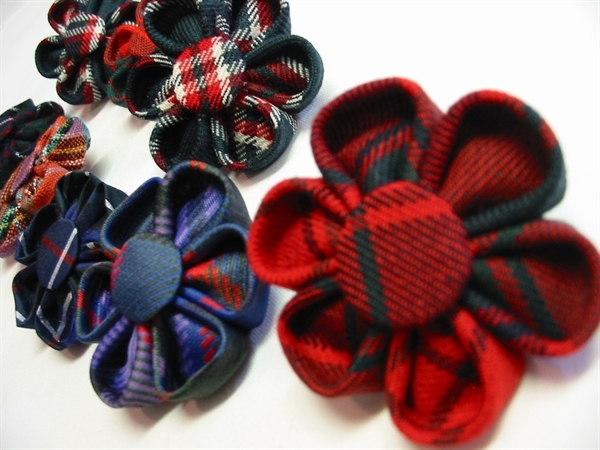 You are also welcome to phone +44 (0) 1764 670 090 or e-mail any queries here.